Mobile computing technology has become invaluable for front line workers at production plants and in the field, enhancing mobility, saving time and delivering effective support for day-to-day tasks. More than just barcode scanners, mobile computers are a necessity for efficient data collection, processing and management. Today’s mobile computers are complete systems with the latest chip sets running industry standard Windows to Android operating systems. Many are purpose-built for your specific application and come in a variety of form factors from handhelds to slates and tablets to wearables with touch, gesture and voice-command technology. Designed to survive the rigors of themanufacturing floor and in the field, they come with integrated laser scanners, 1D/2D imagers, quality megapixel cameras and can include voice options over Wi-Fi and cellular networks. Across virtually every industry—from retail, manufacturing and healthcare, to transportation, government and wholesale distribution—mobile computers use data automation to streamline business processes, eliminate errors and eradicate information processing delays. Removing clipboards, hand-written forms and manual data entry = immediate accuracy improvements! As a long-standing Gold Performance partner with Honeywell and a Premier Solution Partner with Zebra Technologies, Inovity proudly features the full line of Zebra and Honeywell mobile computers, along with devices from other quality manufacturers. 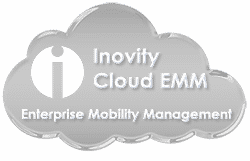 As your trusted business advisor, Inovity can provide and configure the right devices for your application needs. More importantly, we implement broad-based automatic data capture solutions that integrate with your back-end business systems, bringing you improved performance, more accurate operations, more efficient employees and ultimately, increased profits. How can you improve your business? Contact a Systems Consultant today for a complimentary needs analysis.